Using a USB charger has become one of the most common and popular ways to charge up electronic cigarettes. 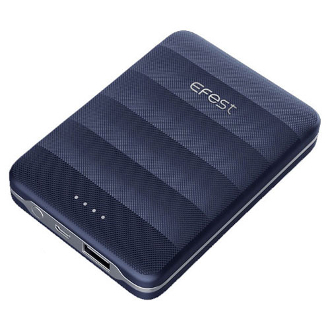 Bringing traditional chargers to their knees, Efest offers customers a revolutionary new product; The Efest Power Bank! It houses a staggering 8000 mAh battery with a USB slot to connect to your USB charged devices! The Power Bank has the ability to recharge itself using its own micro usb cord. The Efest power bank eliminates the annoyance of having to remove batteries from your e cigarette and guarantees to make your day to day charging less of a hassle!